Leading in to the California avocado season, the California Avocado Commission shared engaging, relevant posts on its social media pages to generate excitement — and build anticipation — around the start of the season. From March 1 – March 20, the Commission shared a variety of illustrated GIFs, pre-roll videos and recipe content that had California avocado consumers — and customers — clamoring for their favorite fruit. During that period, the Commission’s social media content generated more than 500,000 impressions. For Instagram, the Commission created illustrated GIFs that incorporated relevant brand messaging and popular social topics such as the West Coast, seasonality and avocado toast. GIFs are particularly popular on Instagram, a social media platform that favors artistic imagery and videos, because they are soundless animated images that automatically play in a continuous loop and can be used as “stickers” on an individual’s Instagram posts. CAC uploaded the GIFs to GIPHY, a platform integrated with the Instagram interface, allowing users to locate the California avocado stickers with relevant key phrases (California, avocados, coming soon) and then create their own Instagram content featuring the Commission-branded stickers. To date, the pre-season Instagram GIFs have been viewed by users more than 300,000 times. 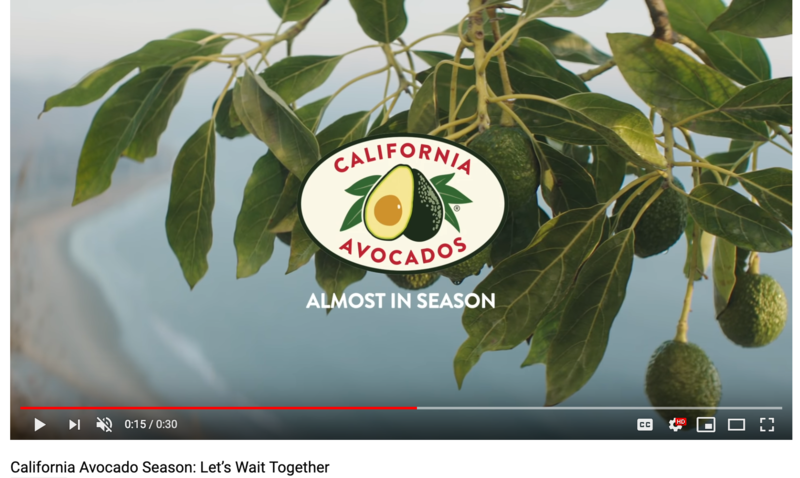 The Commission also built anticipation for the start of the California avocado season with pre-roll “Waiting Together” themed videos that featured a beautiful California avocado grove and “almost in season” messaging. Thus far, the Waiting Together videos have yielded 110,000 views. 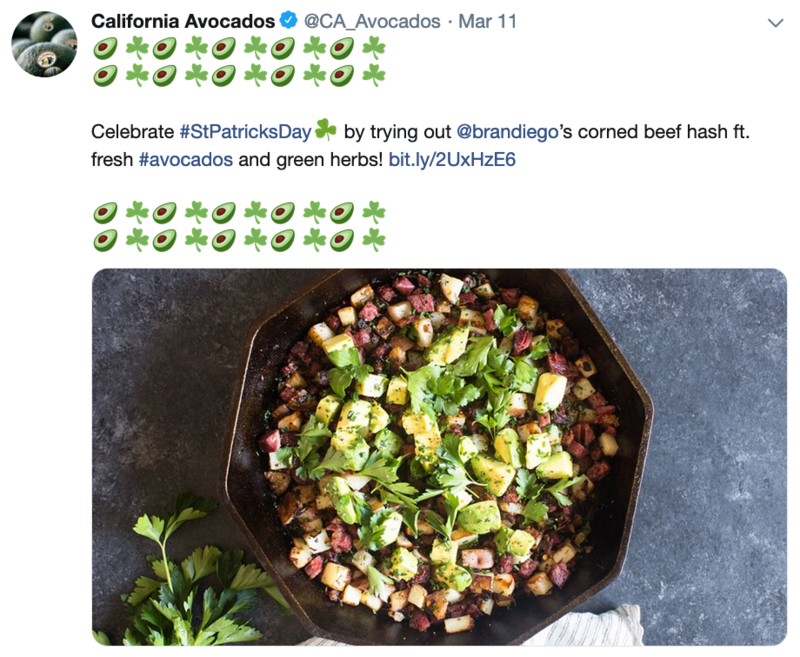 To help California avocado fans celebrate St. Patrick’s Day, and leverage the social media buzz around the holiday, the Commission released a number of California avocado recipes perfect for the celebration. The St. Patrick’s Day content reached of more than 70,000 social media users and garnered more than 24,000 social engagements. The “Waiting Together” pre-roll videos showcased a picturesque California avocado grove. 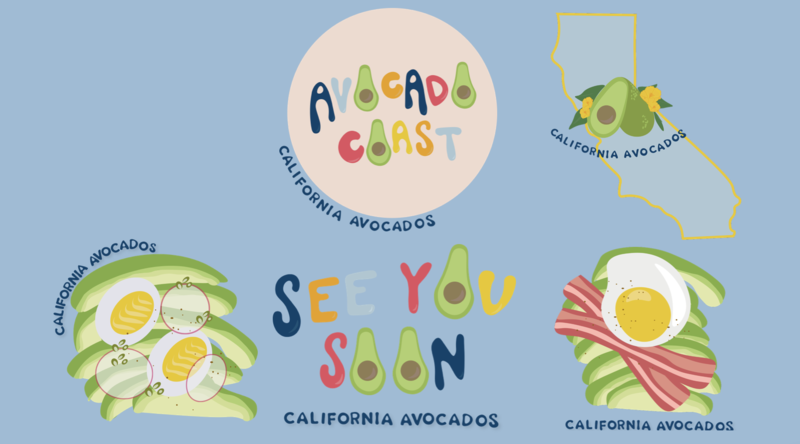 CAC’s animated GIFs were used by California avocado fans to “dress up” their own Instagram posts. 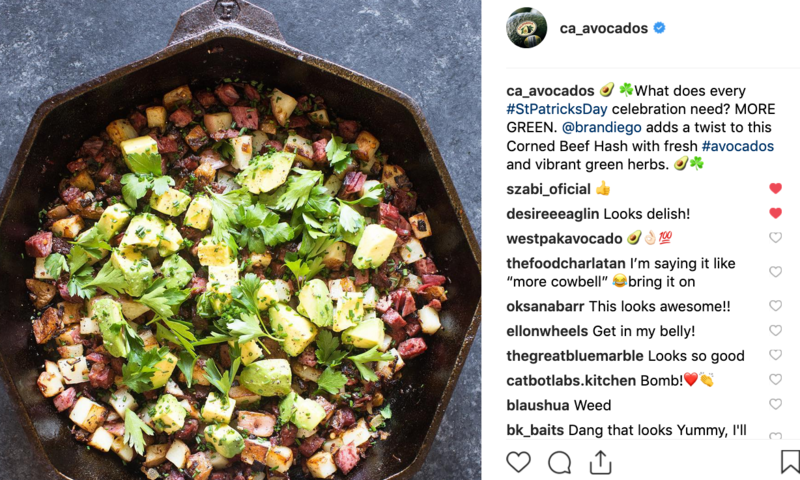 The Commission shared California avocado-themed recipes across their social channels that were perfect for celebrating St. Patrick’s Day. By posting new recipe ideas around a holiday, the Commission can leverage popular social media trends and engage with its fans. 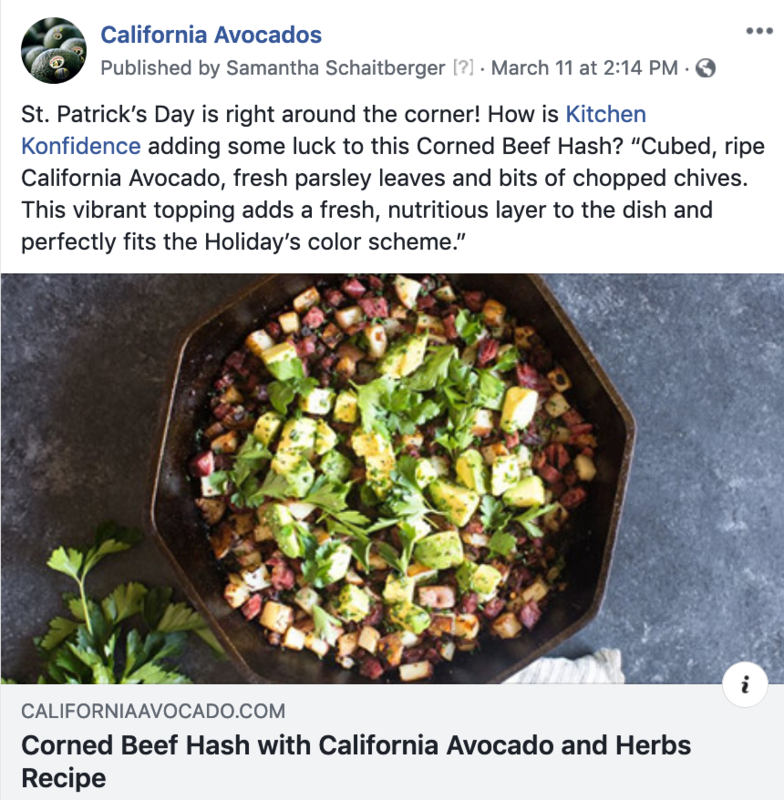 This Corned Beef Hash recipe with fresh, cubed California avocados was a fan favorite on the Commission’s social media channels.